Protect your Vancouver, Washington investment by hiring a quality professional commercial painter! 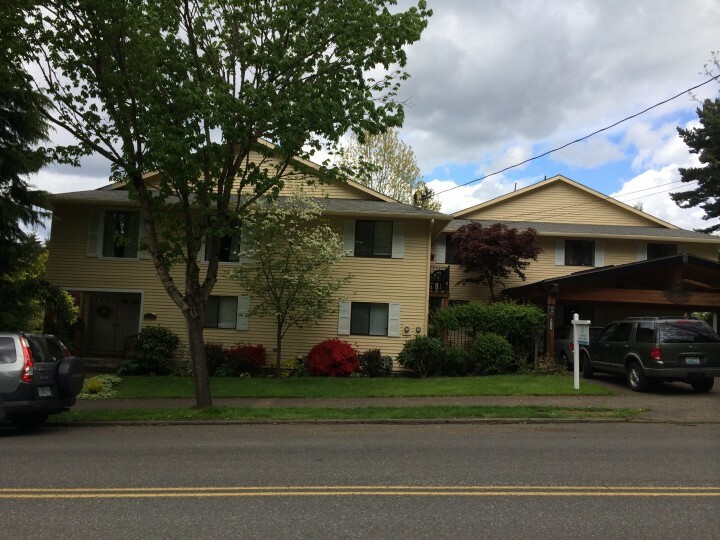 Since 2008, Yaskara Painting LLC has proudly served Vancouver, Washington for its commercial painting needs. Over the years, we have painted Vancouver offices, Vancouver office buildings, and other Vancouver commercial facilities. Yaskara Painting LLC's Vancouver commercial painters have the experience and skills necessary to complete the most challenging Vancouver, Washington commercial painting projects. They will leave your grounds as they found them, and conduct themselves in a professional and polite manner. When it comes to cost-effective quality commercial painting in Vancouver, Washington, Yaskara Painting LLC is the Vancouver commercial painting contractor Vancouver businesses trust. 5★★★★★ - "In January, we had Yaskara Painting come in and paint our old honey oak base trim, window trim, cabinets, and doors white, along with painting various rooms in our house. They did a beautiful job. We had considered doing it ourselves, but we are SO glad we hired Artemio and his team. Now that we know all that went into it and imagining the results we would not have compared to Yaskara's results...so, so glad we didn't do it ourselves. They were great to work with, very nice guys, and got the job done in a fairly short amount of time. We had received bids from multiple companies and read many reviews, and based on their bid and great reviews chose them. Almost 2 months later...still so happy we did!" 5★★★★★ - "Artemio and his team did a fantastic job of painting our home! Artemio was very quick to respond to my call and scheduled time to see us that same day! He is very knowledgeable about paints and gave some excellent recommendations on the use of our accent color. Our home was painted within 2 weeks of our initial contact with him. We love it and would highly recommend their services! Quality, professionalism, timeliness, and very nice staff!" 5★★★★★ - "Quick response when called for bid, came out just a day or two later! We got a few other bids and these guys came in at a great price! Fast, hard, nice workers!" 5★★★★★ - "Perfect job & better than expected. Very responsive and more than willing to go the extra mile to make everything right. We highly recommend them." 5★★★★★ - "We requested a couple of quotes via online websites. Yaskara Painting responded promptly, gave us an appointment time when a walk-around for an estimate could be done, and showed up promptly at the scheduled time. I made a mistake regarding the full work that needed to be done, but it was not a problem for Artemio to come back out, and again he was here right when he said he would be. The work was completed expeditiously, and I have to say that this was one of the best customer service experiences I've had. 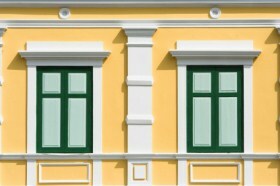 They matched the various colors needed from painted exteriors that were 20+ years old. Everything looks great! Artemio and his crew did what they said they'd do when they said they'd do it. Everyone I interacted with was polite and friendly. I'd easily choose Yaskara Painting for my next job, and I'd recommend them wholeheartedly to everyone." 5★★★★★ - "Yaskara Painting went above and beyond when painting our house and very difficult hardwood deck...The deck was especially difficult and the extra effort they put into it is really appreciated....I would highly recommend these folks"
5★★★★★ - "Artemio and his team painted the exterior, a small bath and interior walls in our house in Kalama. We cannot say enough good things about their timeliness, professionalism and attention to the smallest details in preparing, painting and cleaning up afterward. We are thrilled with the results and will definitely use them again." 5★★★★★ - "We recently had six new interior wood doors, door jams, & baseboards installed in our 1923 English Tudor style Portland home. Tried for weeks to find a contractor who would stain and seal the new wood with no luck. Found Yaskara through Home Advisor and I am so glad I did. Yaskara did a wonderful job blending the stain on the new wood with the rest of the wood in the house. Thank you Artemio, Jose, Steve and Jose #2. You were all a pleasure to work with and the quality of the work is fantastic." 5★★★★★ - "I recommend these guys. My house looks great, all the people I spoke with (Steve and Artemio) were friendly and respectful, and quick to respond to questions). The team of 2 who worked on my house, were fantastic and did fine, detailed quick work, I believe they were Jose and Sergio. Excellent company, will use again." 5★★★★★ - "They were able to get the whole house painted quickly and well." 5★★★★★ - "Working with Artemio and his crew exceeded my expectations. We had a large 5,000 SQ ft home "Cape Cod Style" with a lot of detail. We hired Yaskara to paint the exterior of our home. Their expertise, attention to detail and professionalism was awesome! They worked hard, finished on-time and the finished result was excellent. I would highly recommend Yaskara Painting!" 5★★★★★ - "Yaskara did a beautiful job on my master bedroom! Eddie and Jose arrived on time and worked so quickly: I couldn't believe it when they were finished already at only 3:30! They painted carefully and even dealt with a shower wall that was very difficult. It looks fabulous! The price was great: I would definitely hire them again!" 5★★★★★ - "We are so pleased with the results!! Our house and deck look great! It was a pleasure working with Artemio and his crew. We highly recommend them for all your painting needs." 5★★★★★ - "Artemio's crew did such a perfect job on our house, detached garage, and large barn, that we asked him to do our daughter's house. Once again, the painters were thorough, used top-notch materials, and were amazingly quick in evaluating, estimating, painting, and cleaning up. They cheerfully accomodated some unique situations and we love their work. I recommend them highly." 5★★★★★ - "Did a wonderful job on our 2 story home. Great people went above and beyond." 5★★★★★ - "So easy to work with and very conscientious. I would recommend them to anyone." 5★★★★★ - "Had my family room painted. The painter did a great job and was very conscientious. They were easy to work with and prompt in getting back to me, and came when they said they would"
5★★★★★ - "Very impressed. Jose came to our house at the time that was stated. He was the only painter on this job. We have a normal size ranch style house. Jose finished the job same day. He kept me informed of what he was doing and said he was going to stay and finish it today. I thought he was crazy, but he did it. Twelve hours later, he told me he was done and cleaned everything up. There was no mess just a brand new looking house. AWESOME JOB. I would hire them again." 5★★★★★ - "They just finished painting my house and did a great job. The crew was friendly (thx Jose) and answered any questions I had. Artemio communicated with me throughout the process as necessary. Would & will recommend them to anyone I know looking to get their house painted." 5★★★★★ - "We hired Yaskara after seeing the work they had done on a relative's house, and we were not disappointed. We had them paint the inside and outside. Not only was the work done quickly and professionally, we received much appreciated guidance concerning paint colors and paint types. All of the workers were friendly and considerate. Besides filling all the old nail and anchor holes in our drywall, they were able to repair several areas that were significantly damaged. We were also able to get some small repairs arranged for the siding on the outside of the house. It's like we have a brand-new home now. We are very happy." 5★★★★★ - "Yaskara painters were timely, efficient, professional, very detailed, and their work was excellent. I am particularly happy with their cleanliness while working. I would hire them again for another project and highly recommend their service." 5★★★★★ - "Yaskara painters were timely, efficient, professional, very detailed, and their work was excellent. I am particularly happy with their cleanliness while working. And even after the project all things were left in good order. I would hire them again for another project and highly recommend their service. Thank you Yaskara"
5★★★★★ - "The painters did excellent work and they were very friendly. Detail oriented and answered any questions we had. The price was reasonable and the quality of work was great! We plan on using them again the next time we need our house painted." 5 ★★★★★ - "Yaskara painting did a wonderful job painting my 3-story house. They were prompt and efficient, yet thorough and detail oriented with trim work. Artemio's price was also very reasonable compared to the other bids we received. Finally, I appreciated the color consultant from Sherwin Williams who helping me pick out a beautiful color combination for the house." 5 ★★★★★ - "This is the second full house exterior paint job done for us by Artemio and his crew. They are professional and work quickly. The paint job is great, and the team pays attention to detail. I have read the other review and they are true. We will call on them again. We are very happy to recommend them!" 5★★★★★ - "Yaskara did an excellent job painting my house, so much so, I had them also paint the deck. They had it completed within two weeks of first contacting them for an estimate. Would highly recommend and will likely use them again in the future. The guys were all very courteous and accommodating." 5★★★★★ - "Very impressed with Yaskara painting and the owner Artemis. Artemis met me on short notice on a Saturday. He looked at what I wanted and gave me a price right there on the spot. Artemis gave me an option on when he could do my house and said it would be done in two days. He started the next day and by Monday afternoon the entire paint job was done. When we went in to look at the job, Artemis looked the place over with me and fix any spots that did not look right at that time. I am very happy with the job he and his crew did. I could not recommend a more professional and honest contractor. He comes with the highest recommendation I can give." 5★★★★★ - "After trying to paint our heavily textured ceiling by myself.....I gave up and called Yaskara! They did a wonderful job on our ceilings and our family room walls. They were fast, courteous, professional and reasonably priced! I am thinking about all the other rooms in the house I would like to have done! Thank you so much!" 5★★★★★ - "Arterio and his assistant Jose, painted the interior of my family room, entrance hall and and the window trim and baseboards. He arrived on time and if delayed called to let me know. He suggested a new product of an alkalyd and water based paint for the trim that would work as well and had quicker drying and lower vocs. I was planning on using a oil base paint. He and his assistant covered and taped everything and patched and caulked where needed. They are very professional and polite. I would not hesistate to hire them again." 5★★★★★ - "This is our house! We LOVE the new color! Artemio and crew did great work from helping pick the color...the power washing, the painting, to the finishing touch ups. If you ever want to know what the weather will be for real...ask these guys! My husband and I were very impressed with their professionalism and work! We will be hiring them to paint the inside of our house after the holidays!" 5★★★★★ - "My name is Peggy Short. I had your company out to do the inside painting of my house - the crew were very polite and good workers. I would have them again to paint." 5★★★★★ - "Thanks to Arterio and crew for the great job on my house. Hope to business again in the future." 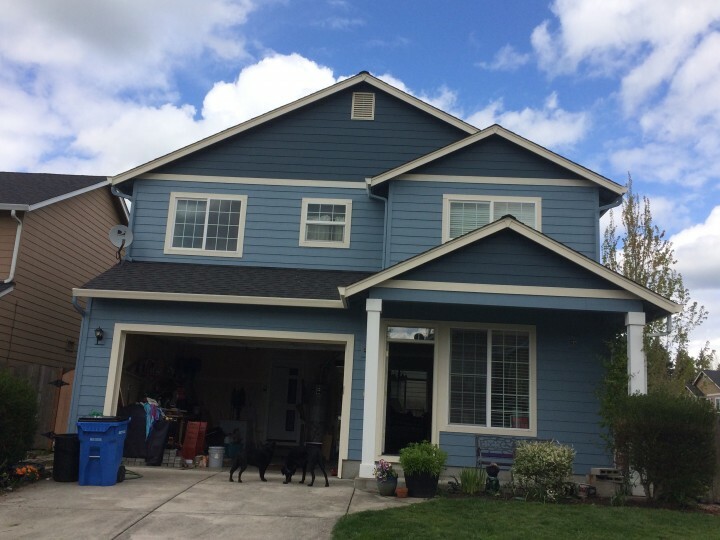 "Art painted my 2 story house @ 1304 NE 171st St. in Ridgefield, WA. Due to weather (rain) it took longer than planned. But he was easy to work with. And did an excellent Job I would recommend him highly.."
"Yaskara painting this Company has the nicest and helpful people that work for them... They have an upbeat attitude and enjoy there job which shows by doing there best for the customers!!! I would recommend them to all my friends .."